Fire is a symbol of purity. Without fire, there is no losing the old and creating the new. 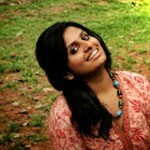 Also, a fire from within is what keeps us going, a passion to achieve and remain inspired. A tattoo is definitely an expression of the self. 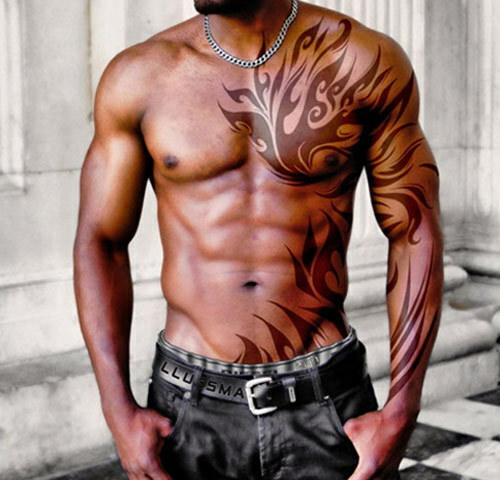 A fire tattoo makes the expression all the more amazing now, doesn’t it? 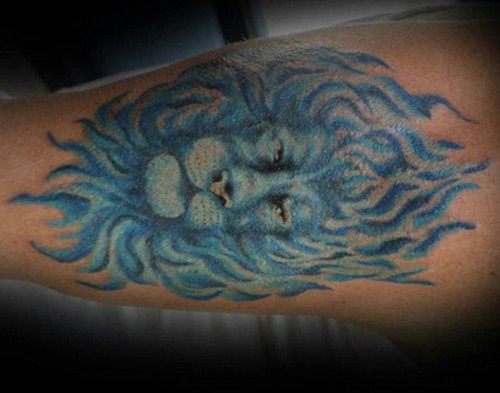 Here we are listing the top fifteen fire tattoos that we love. Choose what you like. 1. The flames depicted here are just mind blowing. It depicts power and grabs attention anywhere you go. What do you think? 2. 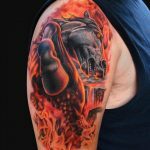 Being on the aggressive and spooky side, this tattoo definitely evokes a chill down the spine. Doesn’t it? 3. 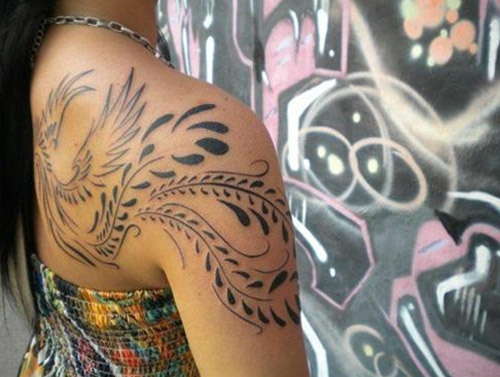 A subtle fire for the delicate darlings, this tattoo is a lovely depiction of itself in black and white. We love how it still evokes the same warmth of fire with no color. 4. The tribal look for a fire on the stone hard abs is so perfect for a stud. You know this is your type only when it is right. 5. 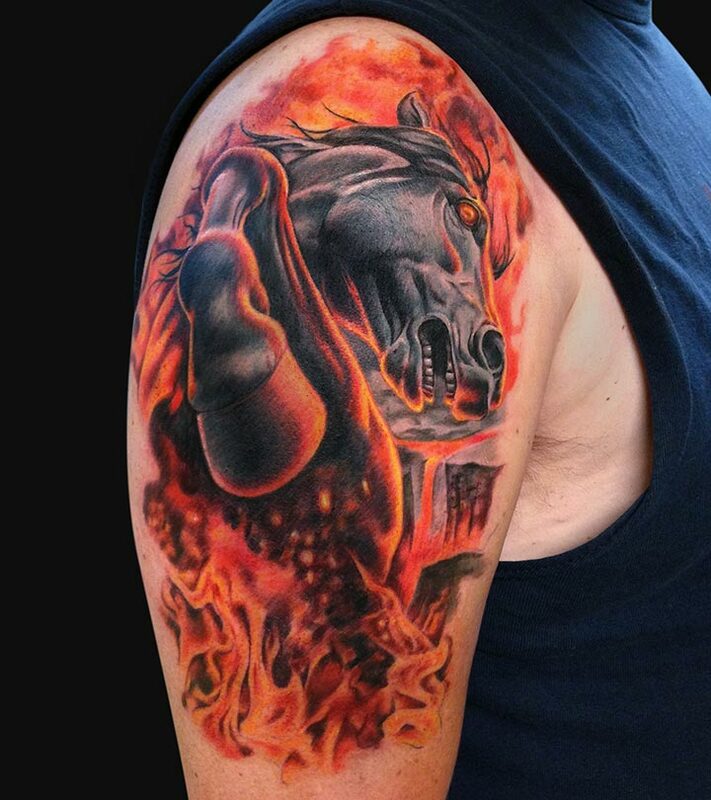 A super colorful expression of fire, we love how beautiful yet attention seeking this tattoo is. Do you love the greens, yellows and the blues in here? 6. 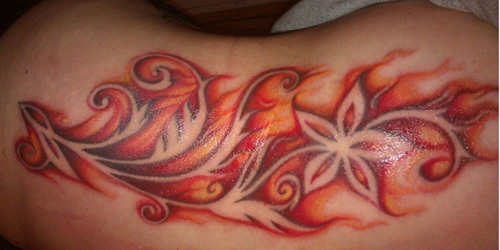 Flowers and flames in one tattoo, makes this super amazing and interesting. The femininity coupled with strength and confidence takes one a long way. 7. These flames have two shades in them, making them vibrant and brilliant. The red is fierce and the yellow adds to the brightness. 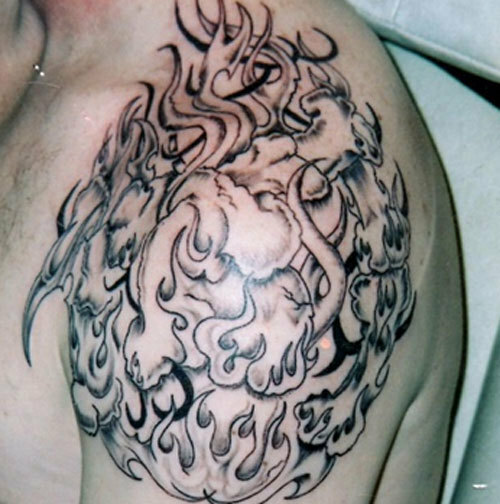 The flames look natural too, thanks to the wavy outlines. 8. 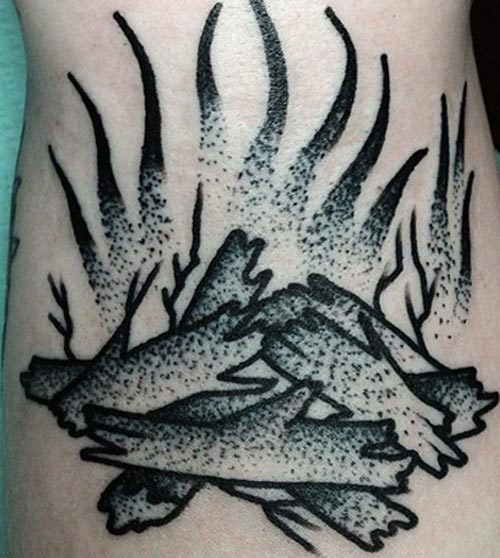 Here is a twisted tattoo for fire – the camp fire. The log and the flames in black and white make it interesting. 9. 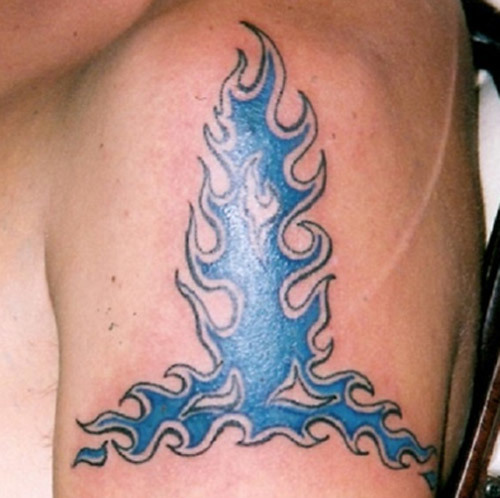 Blue fire is a popular concept for flames and fires. The blue for fire is rare as most times we see reds, yellows and oranges for flames. 10. 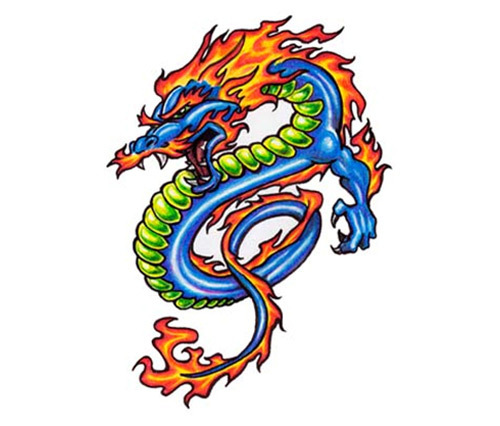 Chinese Dragon emitting fire is also a popular expression for fire. 11. 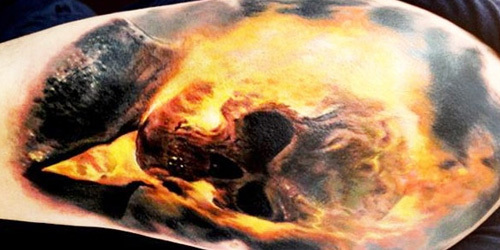 This is the prettiest fire tattoo we have ever found. 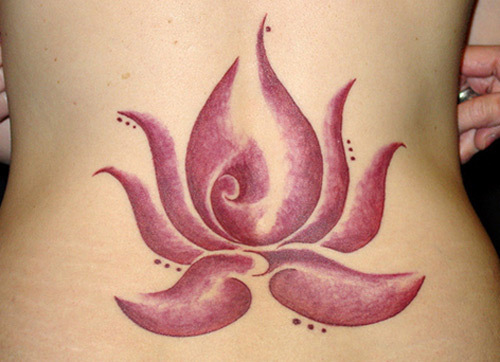 The pink for the flames and the lotus shape is such a stunner of a tattoo. 12. A lion with the flames is so peculiar and amazing now, isn’t it? It’s different and meaningful. 13. 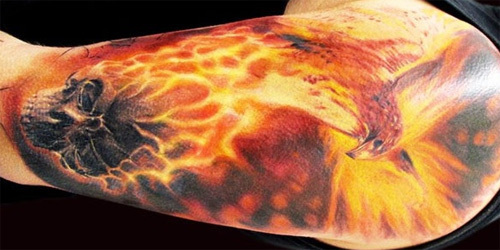 This very abstract flame tattoo is fantastic. With absolutely no color but just black, the flames are fabulous and expressive. 14. 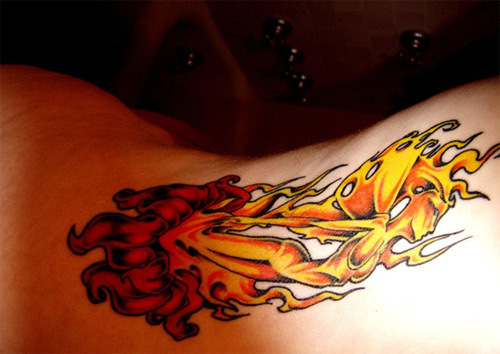 The Fire Fairy tattoo is one of the most popular tattoos in subtle and easy-on-eyes category. We love this one, do you love this? 15. 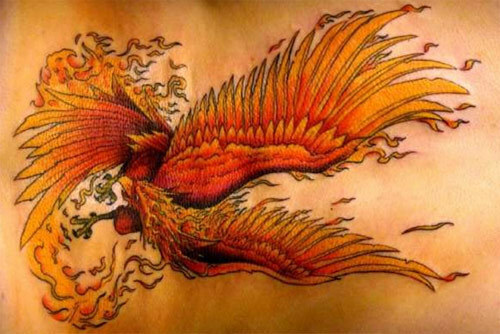 Fire tattoos lists are incomplete without phoenix being a part of them, right? 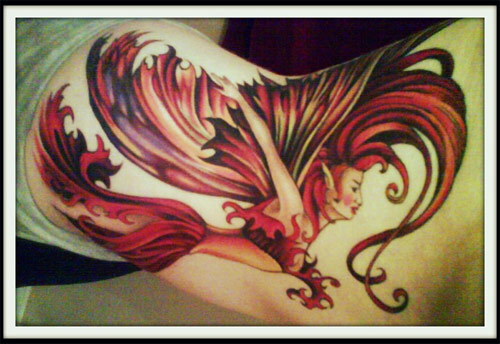 Here is a lovely phoenix tattoo that combines the bird and the fabulous flames. These are our favorites! What are your picks? Shoot a comment and let us know!